From the start, we set out to do things differently. We want to transform every aspect of the traditional manicure experience – for you as our guest, but just as importantly, for our environment. We do not offer acrylic nails! There’s no toxic-filled air to breath in. We use hospital grade disinfectant to sterilize all metal tools, Pedicure Bowl, Manicure table and working area. We also use sterilized tools and all disposable materials, pack individually for each guest that will not be reused on the next guest to ensure your health and satisfaction. Bottom Line: Your health is just as important as ours. 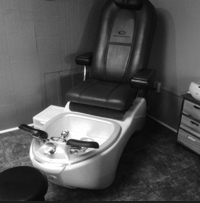 Our mission is to create a place you can relax with peace of mind while getting your nails and eyelash extensions done. We provide the latest Salon and Spa trends with reputable products including Essie, OPI, Morgan Taylor, CND, Eyelash Excellence, and many others. Our friendly and licensed technicians provide the best attitude and service. 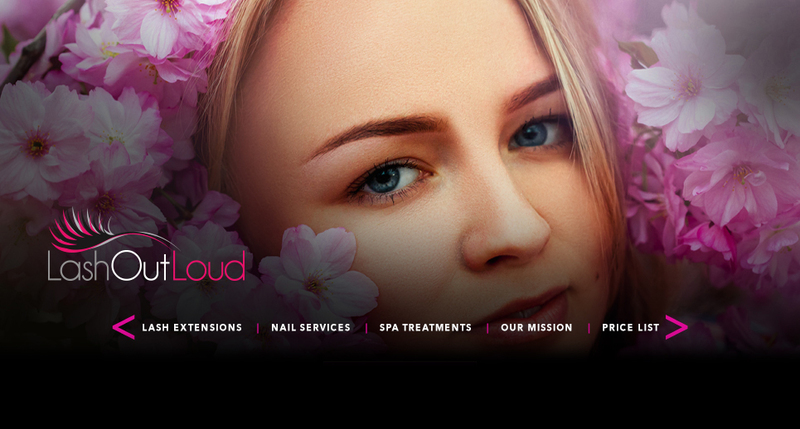 It is our ultimate goal to make your pampering experience that you well deserve a fun and memorable one. We hope that you will find that this won’t be just a day treatment or one-night stand! Our goal is to build a relationship! 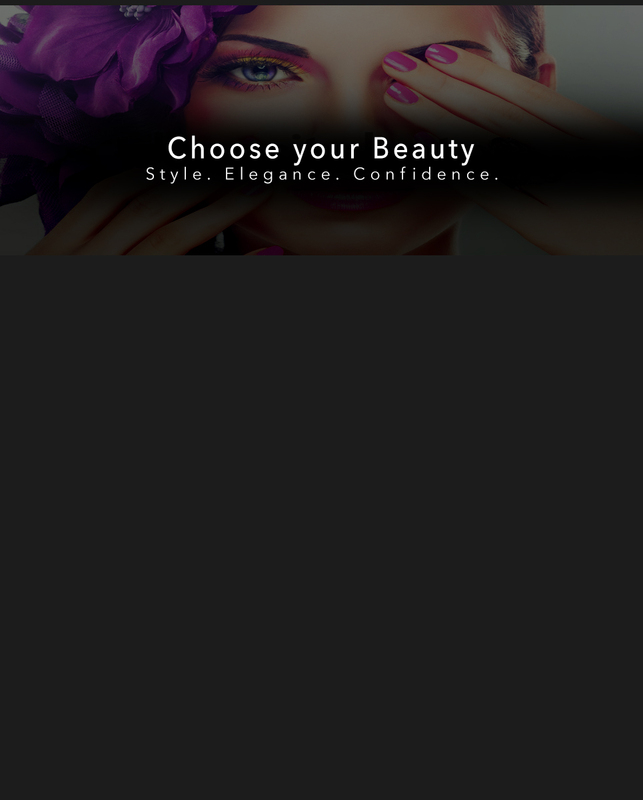 Simply put, we offer different “looks “and allow you to choose which look you prefer. We will do everything possible, given your natural lash base to achieve the look you desire and to safely apply as many lashes as it takes to achieve it. Eyelash extensions are individual strands of synthetic hair attached to each individual eyelash with a special medical grade adhesive. They are applied to the eyelash itself and are never in direct contact with the skin. A patch test is required before this service can be provided. There are many manufactured lashes on the market today. Eyelashes can be synthetic silk, synthetic mink, real mink, real human hair (the last two in this list are not recommended in the industry, due to allergic reactions). They range in thickness, curl shape and durability. Our expert, State Board Licensed and trained technicians can design a look uniquely and specifically for you. We believe that quality and preservation of the natural lash is key. Many salons and lash technicians count lashes and charge by the lash. This is not the policy of Lash Out Loud, Etc! ! With the traditional eyelash extension technique, a single lash is applied to each of your natural lashes. Your desired look will be determined by the number of natural lashes available, the number of lashes applied, the lash type, and finally the natural eye shape by varying the lengths, and the curl pattern applied. Client safety is paramount and here at Lash Out Loud, Etc. LLC, this is always our main priority. The treatment of eyelash extensions works on the delicate eye area; therefore it is imperative that every new client is patch-tested with our products to ensure that they do not have any negative reactions. IMPORTANT: New clients are required to make an appointment for a mandatory patch-test and consultation prior to their lash treatment. We will ask that you complete a client consultation form to check for any contraindications that may prevent you being able to wear a set of eyelash extensions. This appointment will take approximately 20-30 minutes, and the application of a few extensions to your natural lashes If there are no contraindications. We will apply 2-3 very short and fine eyelash extensions to your own natural lashes, as well as patch-testing you for the other products used during the treatment. There is a 48 hour waiting period to determine adverse reaction. It is your responsibility to report any adverse reactions immediately to our technicians. Please arrive to your patch test appointment wearing no eye makeup (if possible) otherwise it will need to be removed prior to the patch test. Clients will be charged a $35.00 booking fee for this consultation, which can be paid at the appointment via cash or credit card. This fee of $35.00 will be redeemed against your lash treatment. All missed appointments will forfeit this fee unless an appointment was rescheduled within 15 days from your patch test. Any client that shows a confirmed reaction to the patch test will be refunded their booking fee in full. We will also consult with you and discuss the look that you would likely achieve with your natural lash set using the variety of curls, thicknesses and lengths that we have at Lash Out Loud, Etc. If your patch-test shows no reaction within 48 hours, then you are safe to wear extensions and we will look forward to seeing you at your scheduled appointment. The application of a full set of eyelash extensions can take anywhere from 1.5 -3.5 hours. This is because the technician must carefully isolate each natural lash and apply an extension to it. The average person has 60-100 natural eyelashes per eye, and we aim to apply an extension to every suitable one. Therefore, you can see why this is a time consuming and highly skilled treatment. Maintenance in-fills usually take 1.5 -2.5 hours. Are there any restrictions to wearing Eyelash Extensions? Lash Out Loud Etc. LLC, only applies extensions to those aged 18 years and over, with some of our oldest clients being in their 70s! Clients must be able to lie flat, with their eyes fully closed for up to 3.5 hours and refrain from conversation during the application process. Any client that suffers with claustrophobia, flickering eyes, or is of a nervous disposition, may not be a suitable client for eyelash extensions. However, we will always discuss this at your initial consultation. Each client must complete a client consultation form and be patch-tested in accordance with our insurance and State Board Regulations to ensure that they are safe to wear eyelash extensions. Clients that desire at set of eyelash extensions must already have a reasonable set of natural lashes present because we attach our extensions to the natural lashes only, and never the skin. This means that any client that has very little, or no natural lashes, may not be a suitable candidate. However, at Lash Out Loud, Etc. LLC, we specialize in clients with fewer natural lashes, or those post-chemotherapy. With the use of our advanced techniques, we can really work miracles on some clients. Natural eyelashes grow and shed daily, with the average person losing 2-5 natural lashes per eye, per day. This means that if you wish to keep your eyelash extensions looking their best, then maintenance in-fills are required every 2-3 weeks. (It is strongly recommended to keep the in-fills within the 2 week time frame). Clients are expected to return to their in-fill appointment with 40-50% of the set remaining for it to be classed as an in-fill. At the in-fill, you will receive a complimentary cleanse of your extensions. Any extensions that have twisted or grown out will be removed, and fresh extensions replaced where those have naturally shed over the weeks. Clients MUST return to their in-fills with clean extensions, otherwise a full removal may be required. If you choose to have your set for a special occasion only, then you can let them fall out naturally over the course of 3-6 weeks. NOTE: Spring Lash Shed begins April and goes through May : Autumn Lash Shed begins in October and goes through November. You will experience excessive shedding of lashes and hair during this time. You can google “ Spring or Autumn Lash Shed” to understand more about this cycle and why it is scientifically real and does occur. You will experience retention problems and excessive shedding of your natural lashes during these months. Yes, However, you do have to treat them gently and clean them regularly, which will all be explained to you at the end of your appointment. You can still wear eye makeup but you must not apply mascara to the extensions or use any form of liquid or gel eyeliner to the upper eyelid. You will not need to. These products will break down the lash adhesive, causing them to stick together and will cause damage. Mascara and eyeliner cannot be cleaned from the extensions without damage. This will lead to bacterial infections such as Blepharitis. Any client that arrives to an infill appointment with dirty extensions, or evidence of the use of mascara or eyeliner will require a removal and a full set applied again. We do not tolerate dirty eyelash extensions at Lash Out Loud, Etc. LLC. Why do eyelash technicians charge higher prices? We DO NOT offer removals on work that was applied elsewhere, unless the client is having a new full set applied by us. In this case we offer a free removal, unless we feel that it will take longer than 15 minutes to remove the set due to poor work and removal of excessive product . Any set that will take over 15 minutes to remove will incur a $30.00 removal fee in addition to the lash treatment. We will not be held responsible for any damage to your natural lashes that had been caused by poor work applied elsewhere. IMPORTANT: We do NOT offer refunds on lash treatments, but will always work with the client in the rare event of any issues that may arise. If you encounter any problems with your extensions, then please let your technician know immediately, and within any designated guaranteed time offered by your technician. If any client experiences a problem with their lashes, then your technician will do their best to work with that client to rectify the problem. Please note that the products used on all clients are tried and tested and, as such, they do work – with satisfied clients returning week after week with healthy natural lashes and well-maintained extensions. In the rare event of a client experiencing any problems, it is usually the result of improper aftercare, or they simply may not be a suitable candidate for lash extensions. Although eyelash extensions are a fantastic beauty treatment, there may be times when they are not suitable for everyone. Please arrive at your scheduled appointment time, as there has been a set window of time for each client. If you are late for your appointment, and do not wish to reschedule, the lash technician will work up to the time that was allotted for your appointment. Please limit your intake of caffeine on the day of your scheduled appointment. 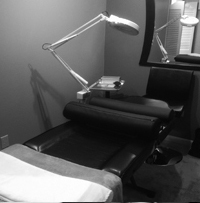 We want you to be relaxed and comfortable to lay flat for the time needed for your eyelash treatment. It is paramount that all clients have a realistic expectation before the commencement of any lash treatment. Although skilled at what we do, we can only work from a platform of natural lashes, and cannot create something out of nothing. If you are a client that desires a ‘strip lash’ look, then eyelash extensions may not be for you. Although we can create full looking sets, a strip lash is an unrealistic look to achieve from the treatment of eyelash extensions. WE DO NOT OFFER INFILLS ON WORK THAT WAS CARRIED OUT ELSEWHERE. Relax and enjoy our rejuvenating spa treatments. Experience peace and harmony of body, mind, and spirit with specialized treatments. We use hospital grade disinfectant to sterilize all metal tools. They are packed individually for each guest that will not be reused on the next guest to ensure your health and satisfaction. Follow us also on Yelp, Instagram, and Google Plus.